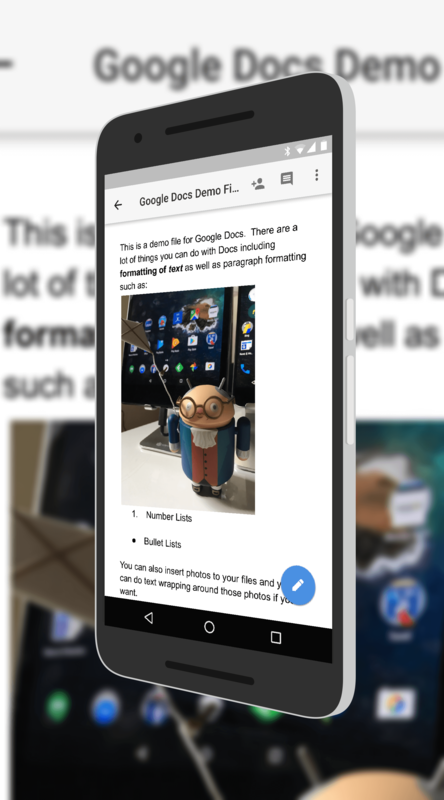 An update is currently rolling out to the Google Play Store for Google Docs and Google Sheets that further both apps features around collaboration. Both apps now allow you to create and assign action items to collaborators on a document or file. For example, if you want to have a team member work on a specific paragraph or the financial figures in a particular part of the document or sheet, you can assign it to them and get notified when that task is completed. It is a great way for teams to work together on a file and to make sure specific edits are completed. Along these same lines, both Google Docs and Google Sheets also have an updated quick look for users. This gives you the ability to see any documents that need attention and it includes those with action items that are assigned to you or with suggested edits. This goes hand-in-hand with the new assignable items feature but allows you to quickly see which files you need to work on first and easily identify them in your documents list. There are of course bug fixes and other performance updates in this release so even if the collaboration updates are not that big of a deal for you, be sure to grab the updates when they hit your device via an OTA update so you have the latest-and-greatest version running on your phone or tablet. If you haven’t tried Google Docs, Google Sheets or Google Slides, they are free apps and any file created in their specific formats do not count against your Google Drive quota.